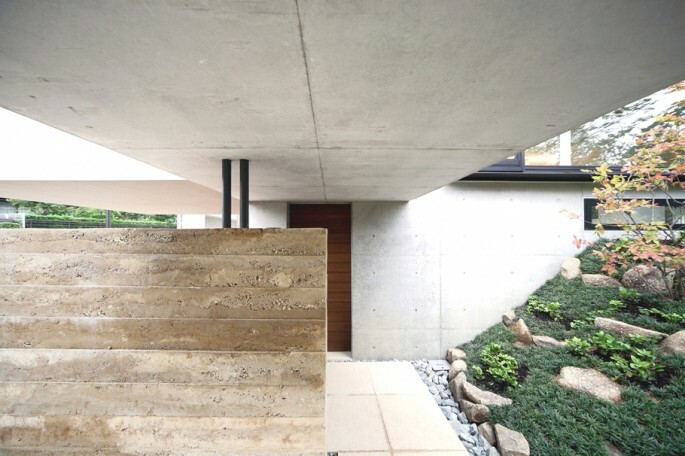 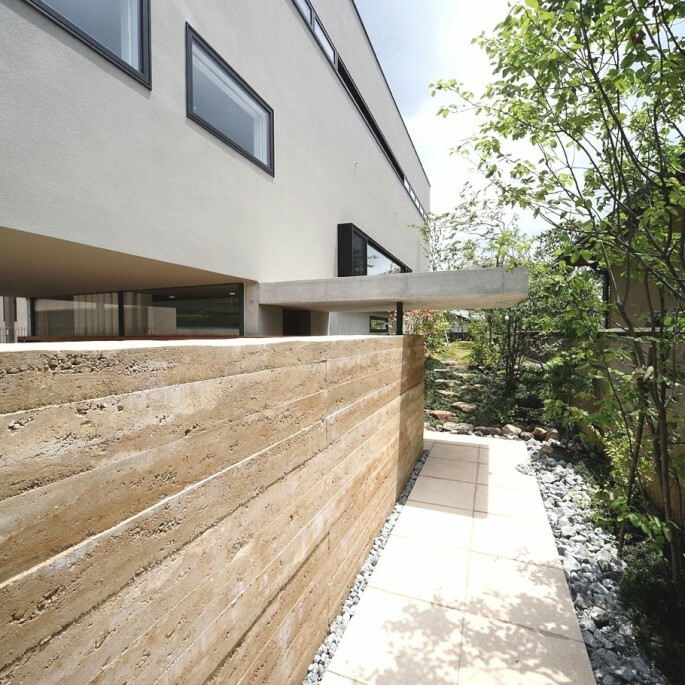 According to the architects: “Located on a relatively long and narrow lot in a visual hostile context the building suggests a division of private property in the public space of the courtyard from the street and the private inner space of the rear yard. 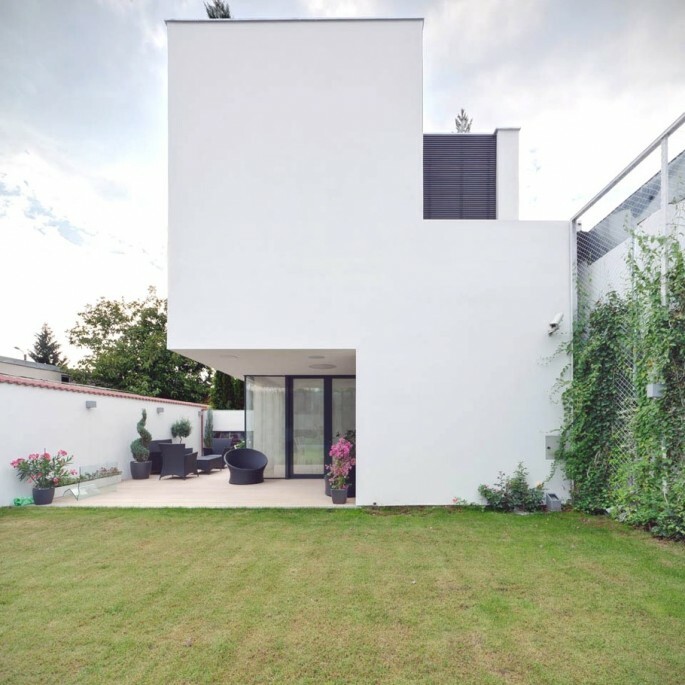 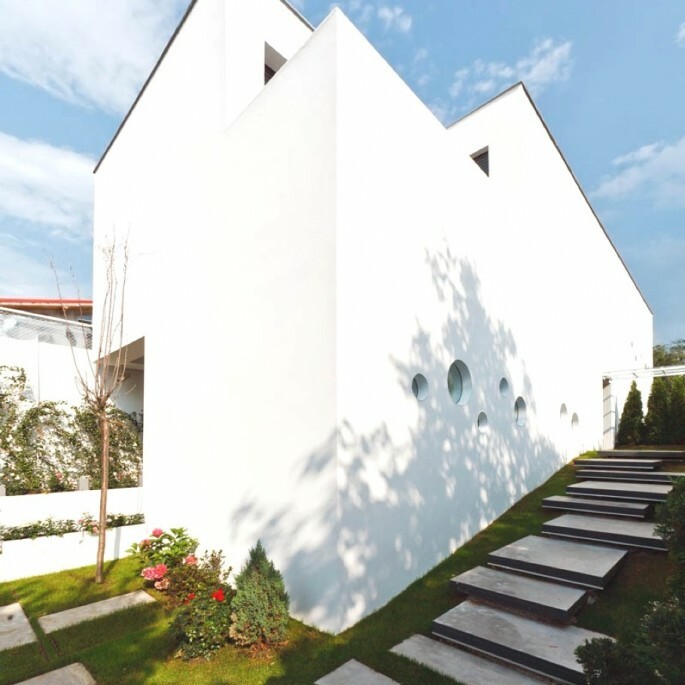 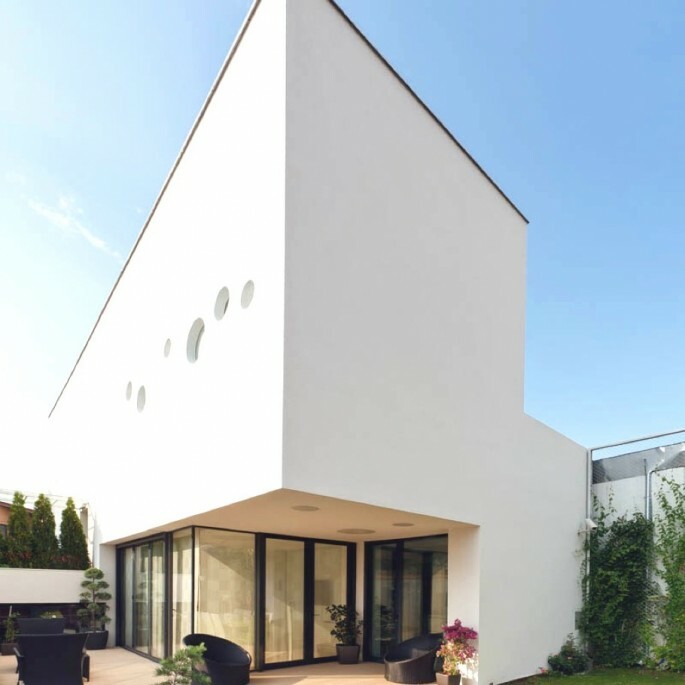 “The contemporary Romanian property participates to the aesthetics of the street by moving private plane separating public from all opaque fence 2m high and you find in most situations the front volume, such interposes space between the street and the house, a small garden and a large transparent surface. 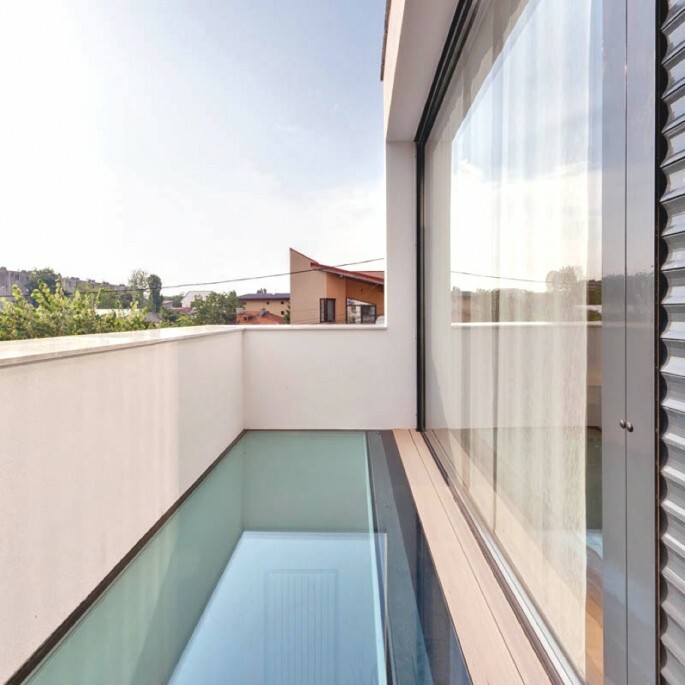 “Opposite corners of the volume are generously cut resulting in consoles with large terraces and large glass surfaces for all important spaces. 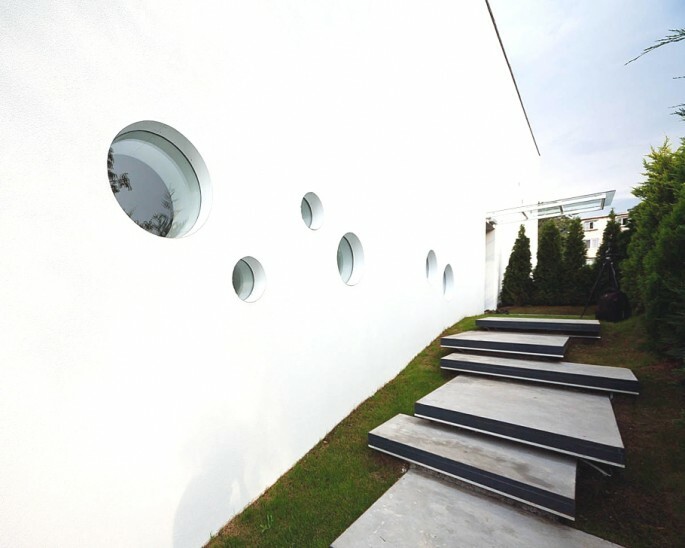 The stringency of the straight clippings is conjugated with playful circular openings that accompany you along the facade to the main access. 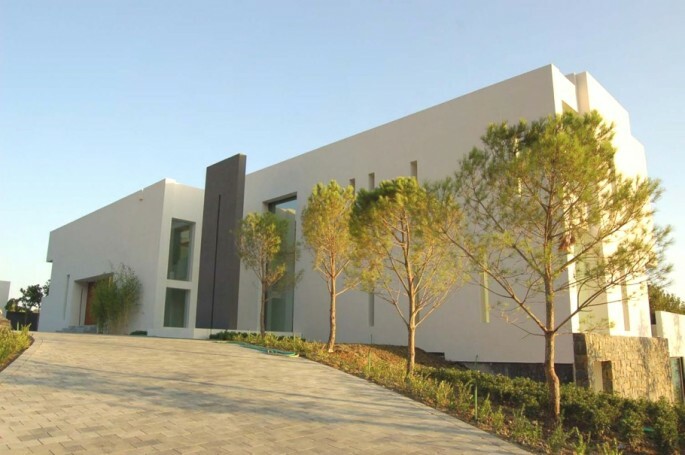 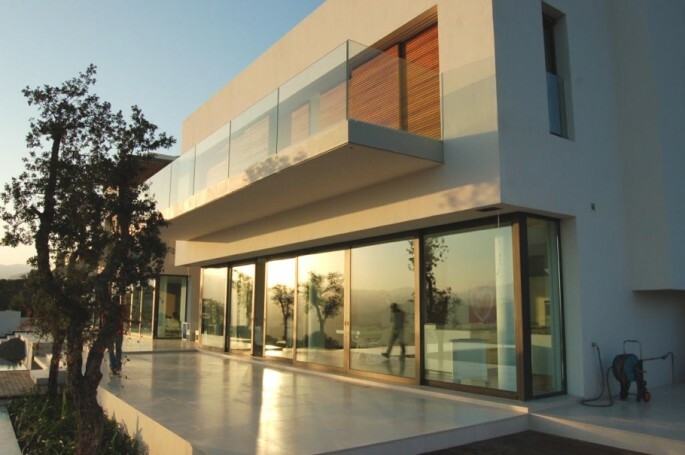 The access is clearly marked on the solid white façade by a straight transparent glass cover and by the grassy ascending slope starts at the front gate. 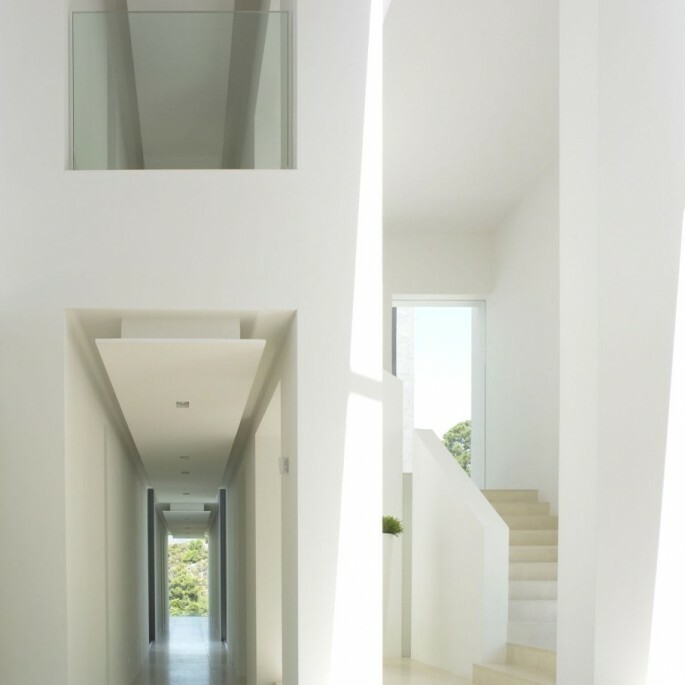 “Once inside the volume, is a total paradigm shift. 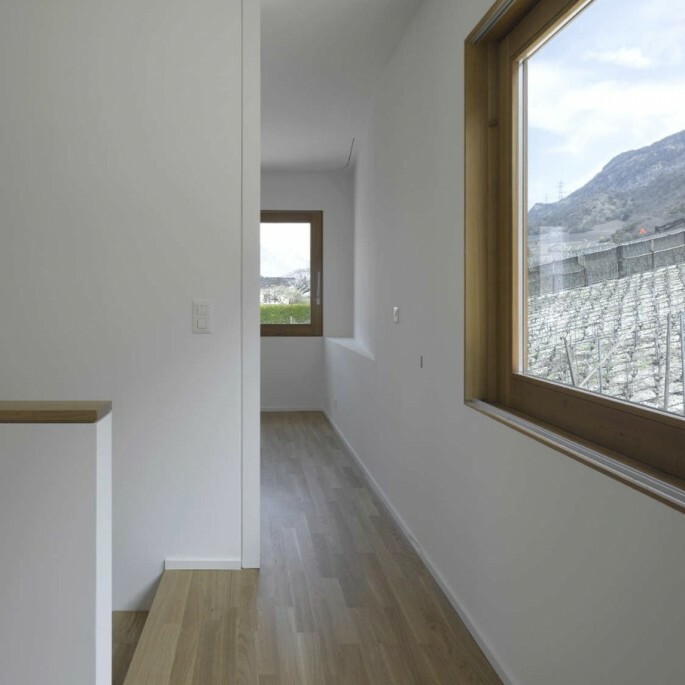 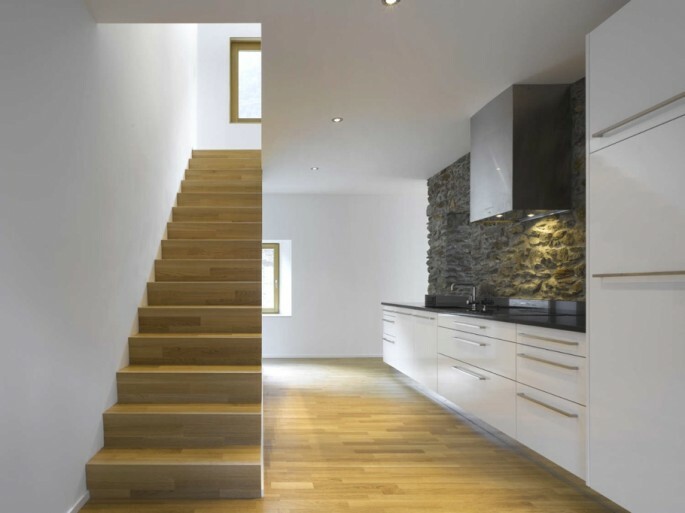 To the simplicity, the austerity, the introverted character of the outer volume, it is opposed a fluid interior space, continuous, with strong visual connections between all interior spaces. 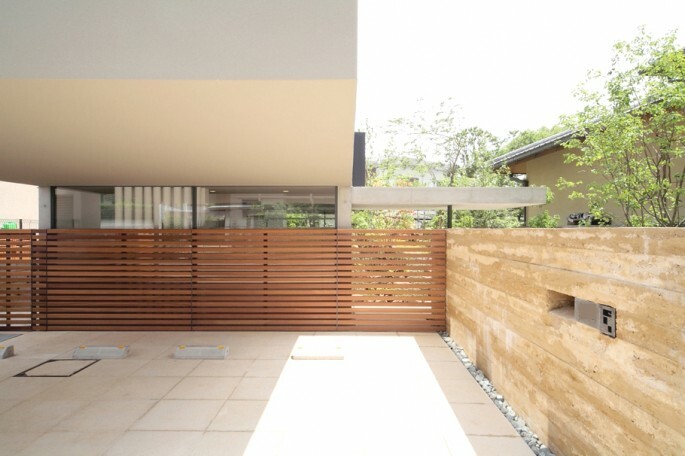 The surrounding visual connections between spaces controlled by cuts in the outer skin of the volume, together with different areas of the two courtyards increase the feeling of the internal volume. 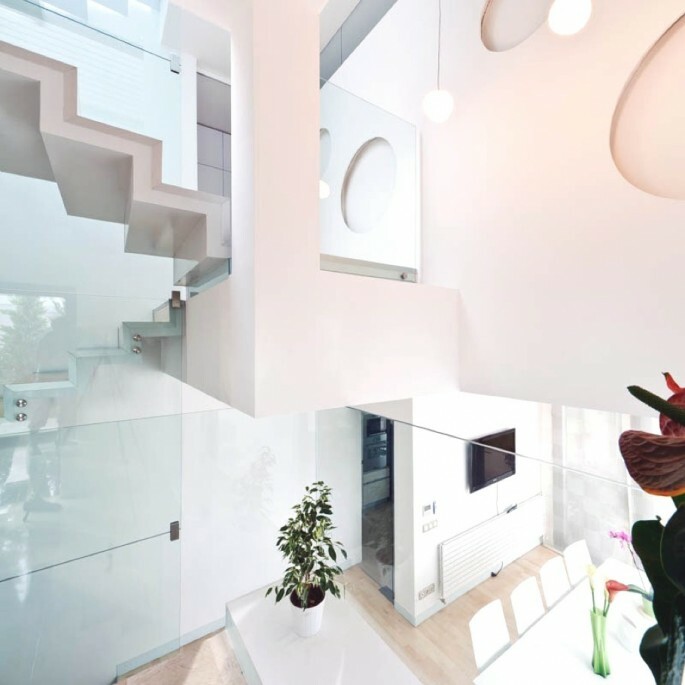 “Development of interior spaces at half level, articulated by a central staircase expressed by a corrugated surface combined with ample glass surfaces amplify the feeling of spaciousness, essentially increasing the volume inside the limited outer capsule of the contemporary Bucharest property. 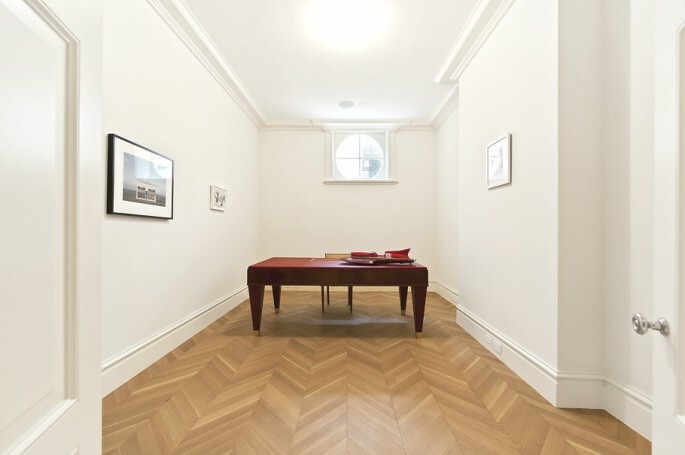 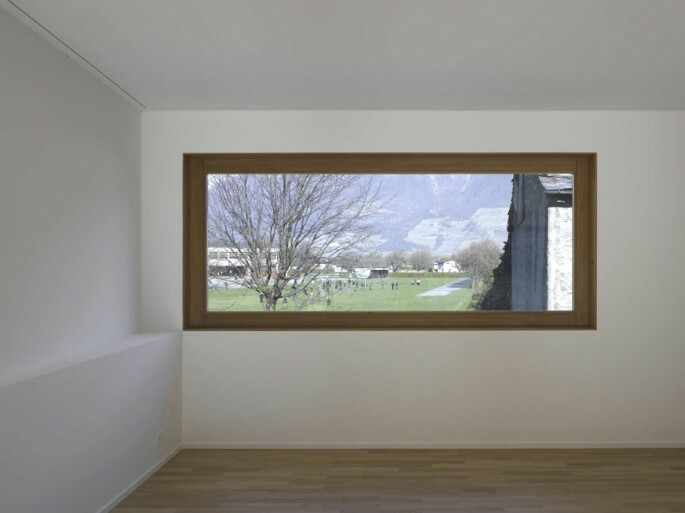 This thing expresses to the viewer form outside the image of a discrete small sized building. 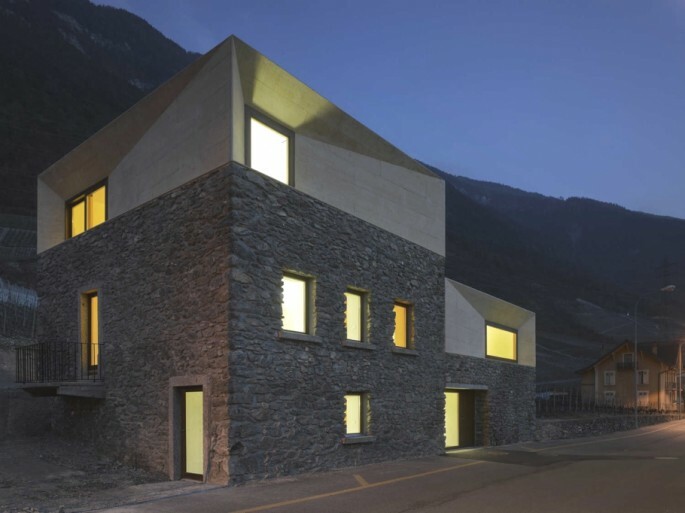 Zurich-based design studio Clavienrossier Architects have completed the À Charrat project. 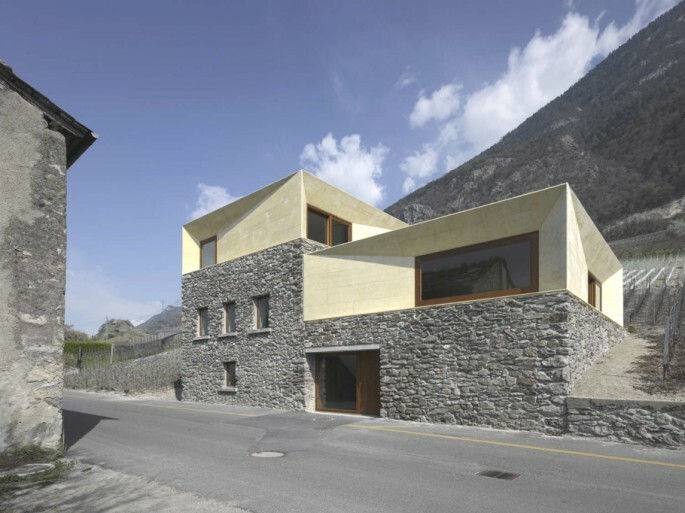 Completed in 2010, the contemporary home can be found in the Swiss Alps. 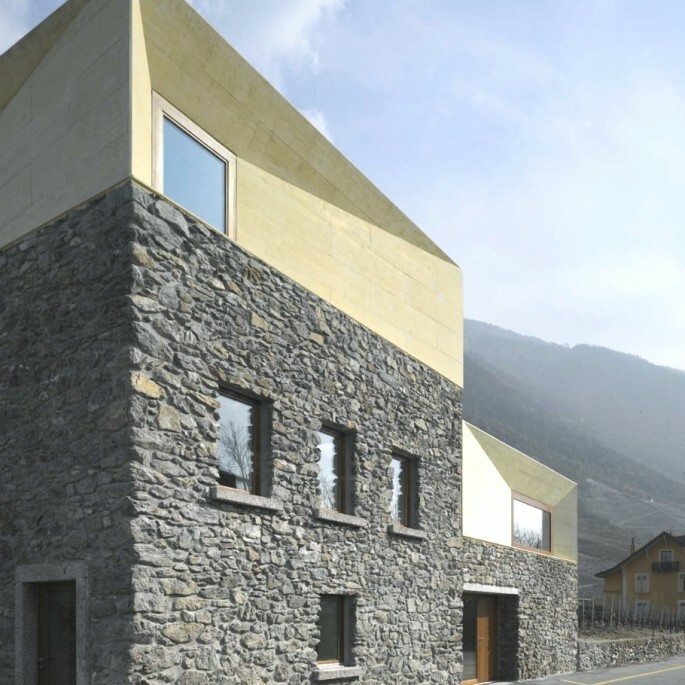 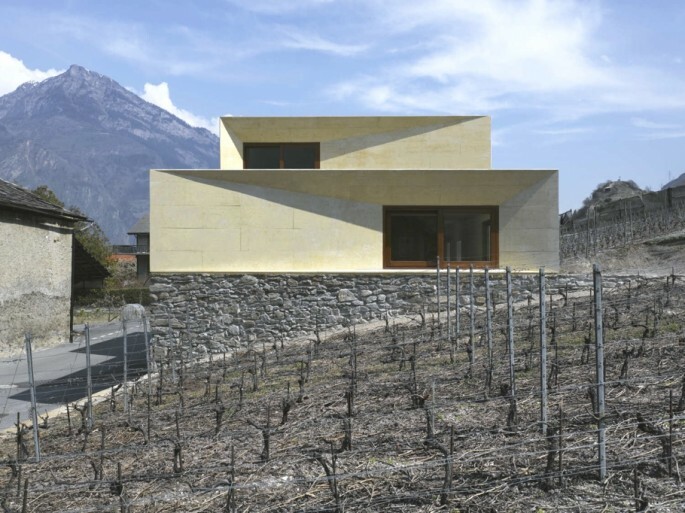 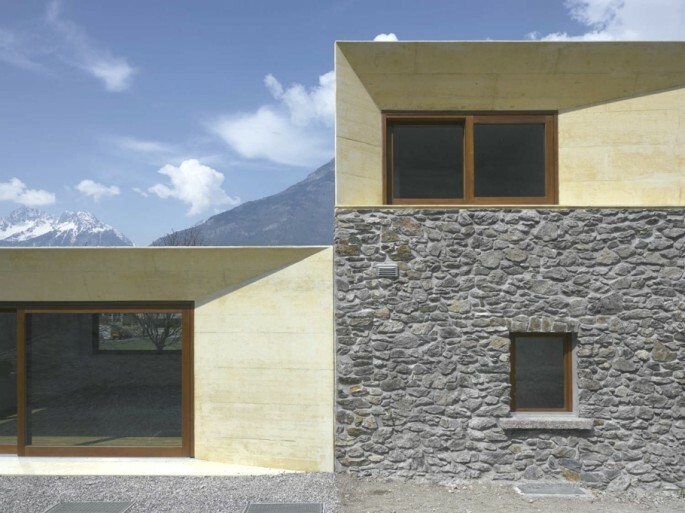 According to the architects: “The contemporary Swiss property is situated away from the village. 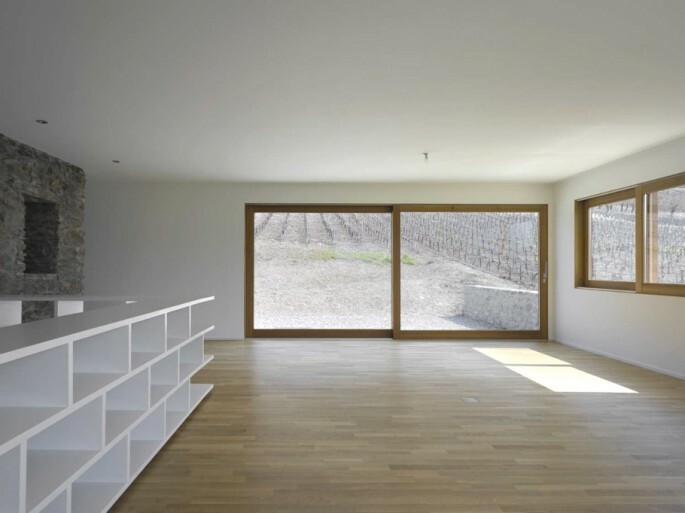 The house includes an adjacent barn that had a large space which needed to be renovated completely. 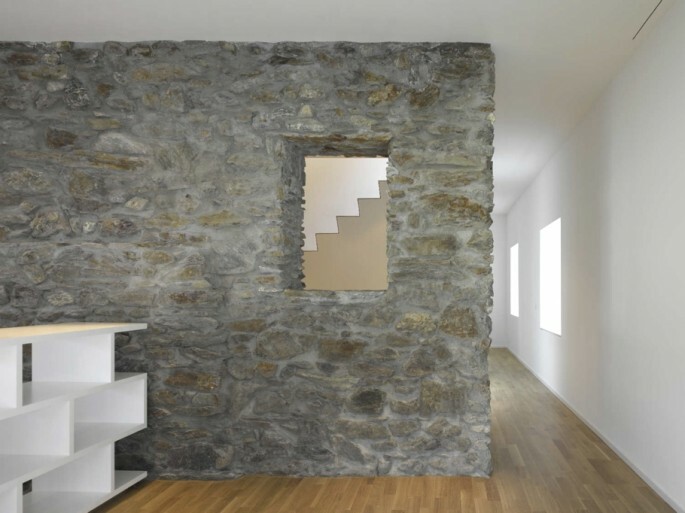 Only elements which can easily be reused were preserved, cellars and floors of the pre-existent house —the rest was demolished. 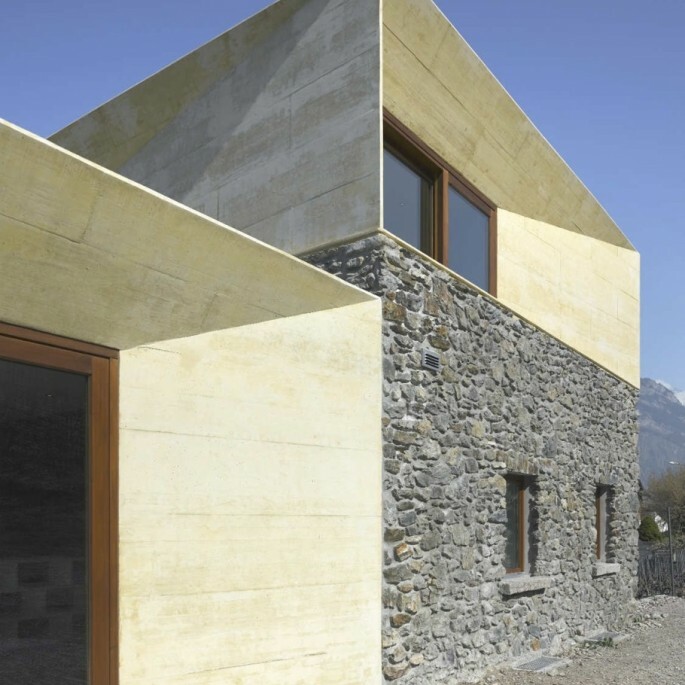 “Volumes of visible tinted concrete replaced the double-sided roof and the transformed area. 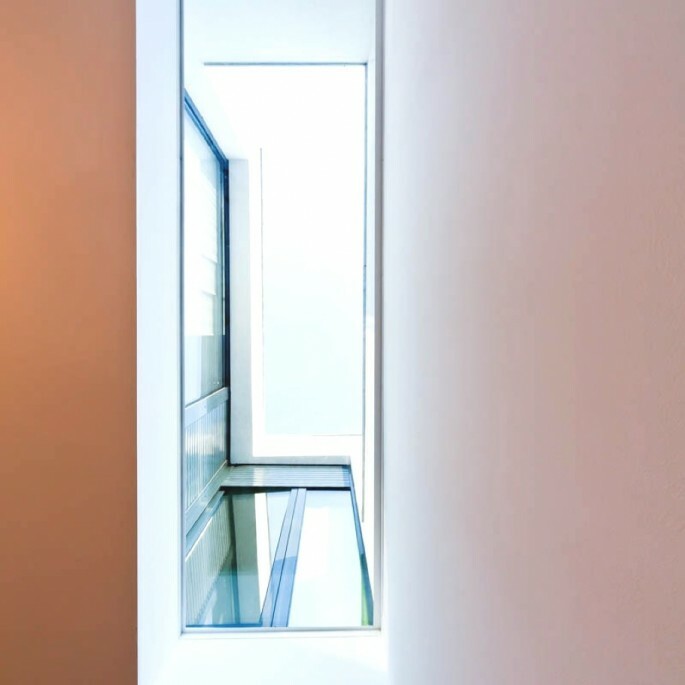 The big openings create light to flood the rooms and the geometry of the superstructures results both from a formal desire and from a will to remove the wall thickness. 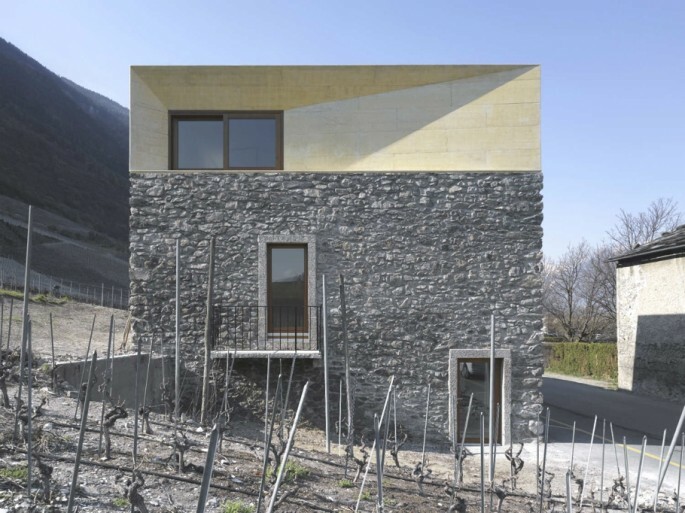 “The various-slope faces enhance the highly varied game of the shadows throughout the day. 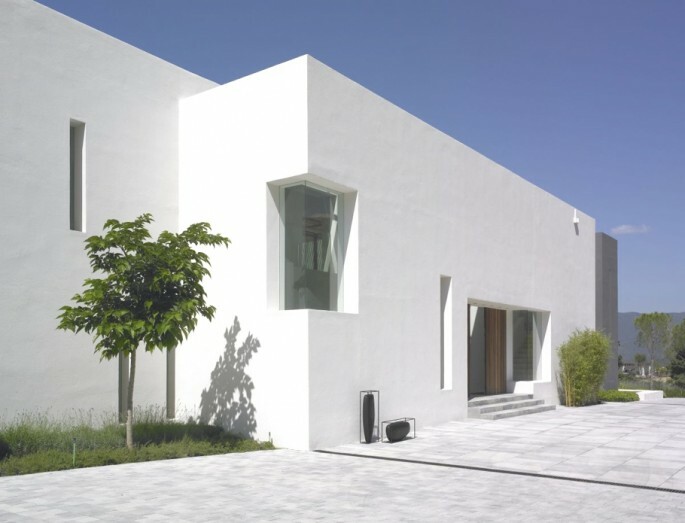 According to the architects: “The design strategy for this new contemporary Spanish villa was to create a building that would exploit the spectacular landscape, while creating an exemplary building for the 21st century. 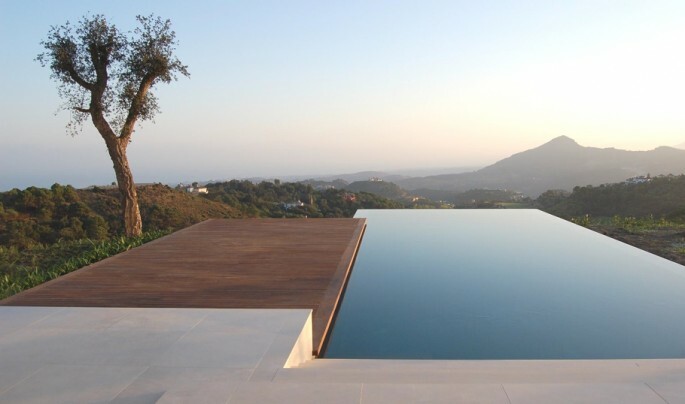 “The site occupies a panoramic south west facing sweep of embankment, with impressive views to the Mediterranean, Rock of Gibraltar and Serranía de Ronda. 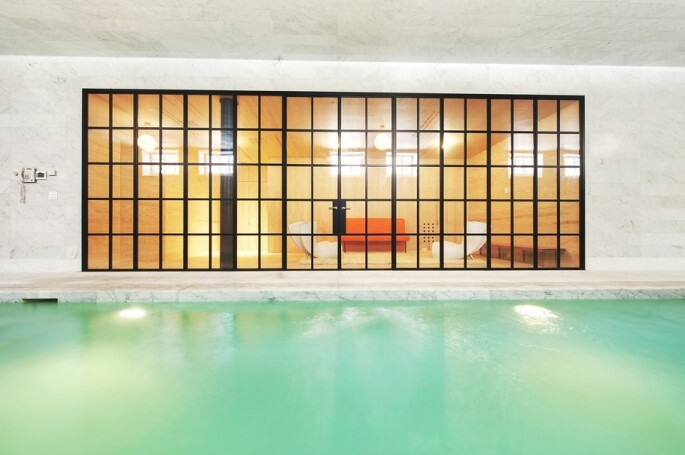 “The luxury Spanish villa has seven bedroom suites for the family and their guests in three linked pavilions separated by pools of water, gardens and stone terraces. 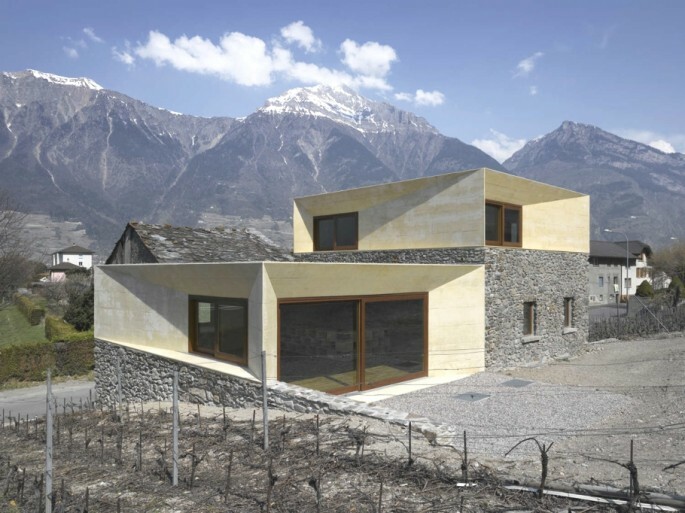 “Landscaping was key to the concept for this dramatic site and the combination of visual, solar and centrifugal influences inherent in the landscape created a natural orientation for the building – as a series of parallel surfaces on a NE/SW axis. 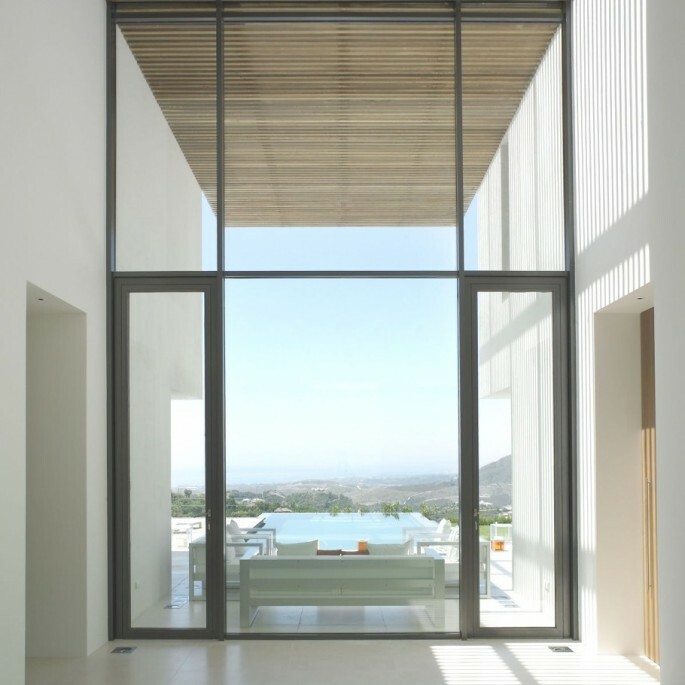 These layers defined both shade and space from which to enjoy the Andalucian sunlight, providing tantalising glimpses of the view beyond and shaping tranquil spaces for the inhabitants. 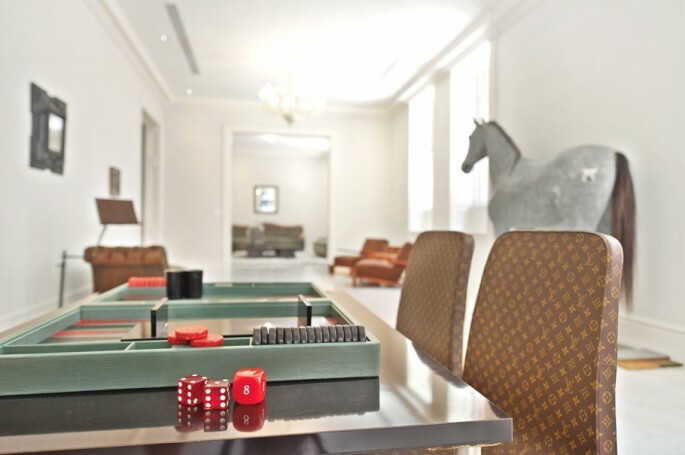 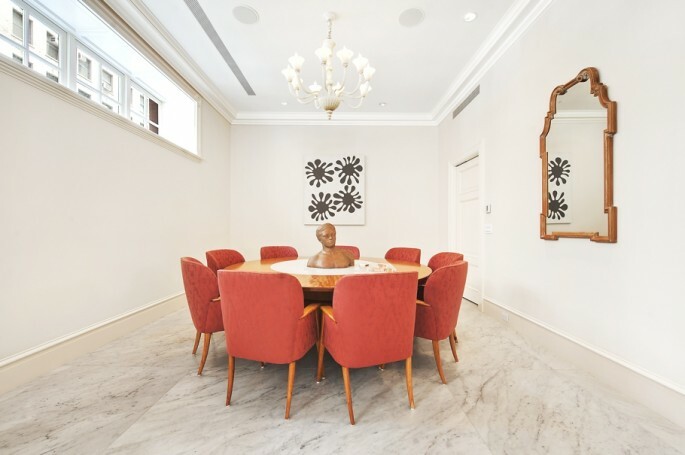 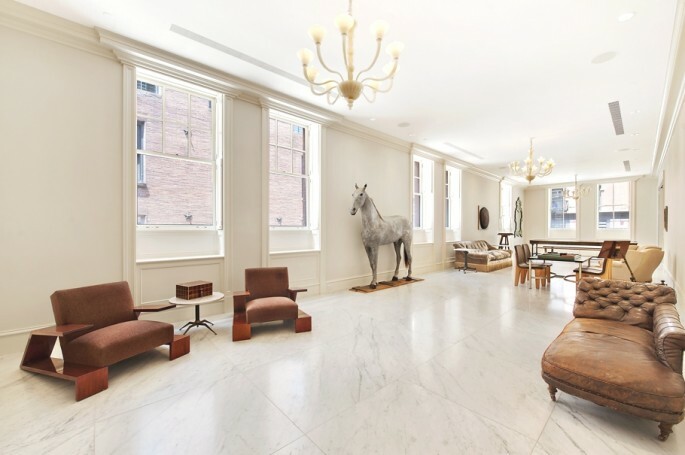 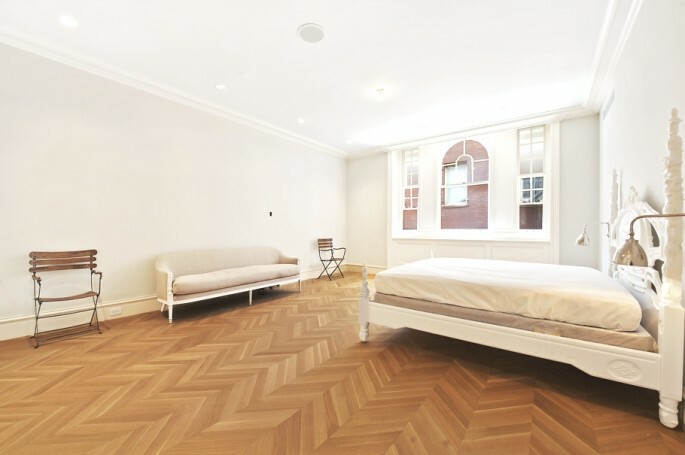 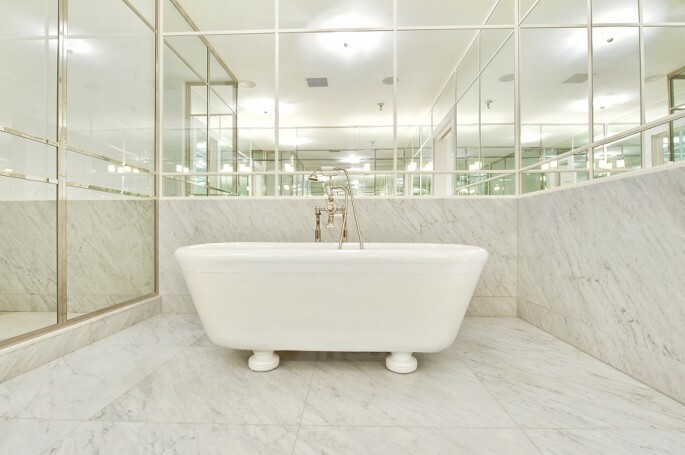 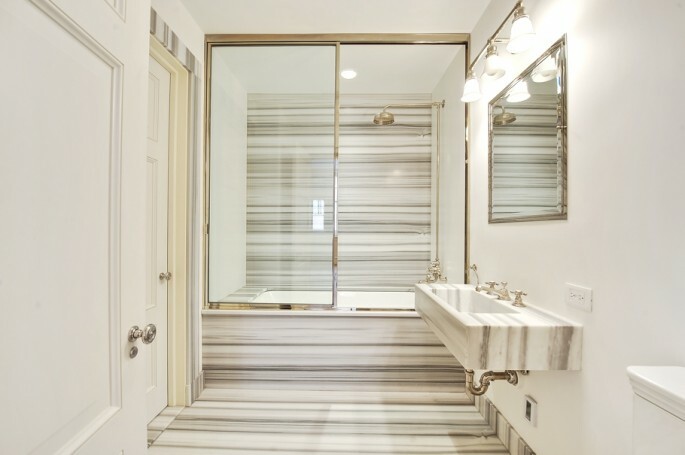 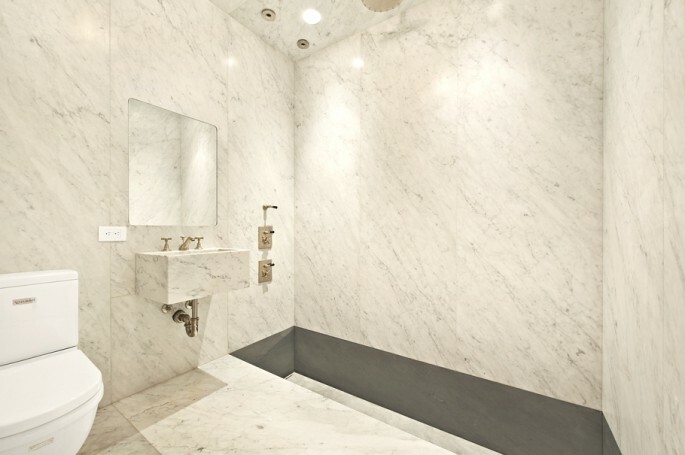 The Marble House has to be one of the sexiest properties seen by the team at Adelto. 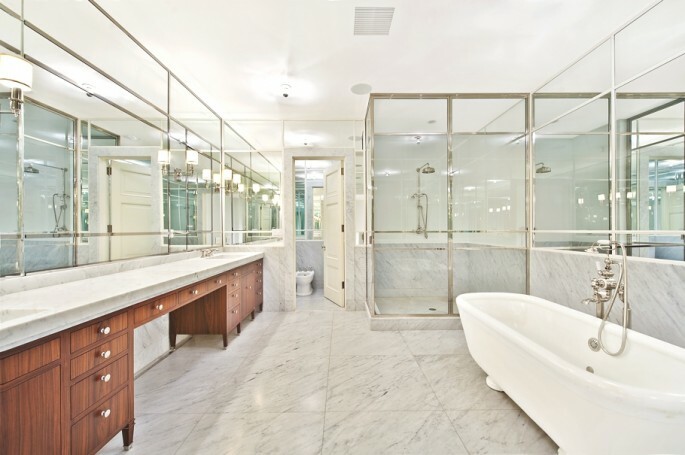 The luxury residence has been designed by Stuart Parr. 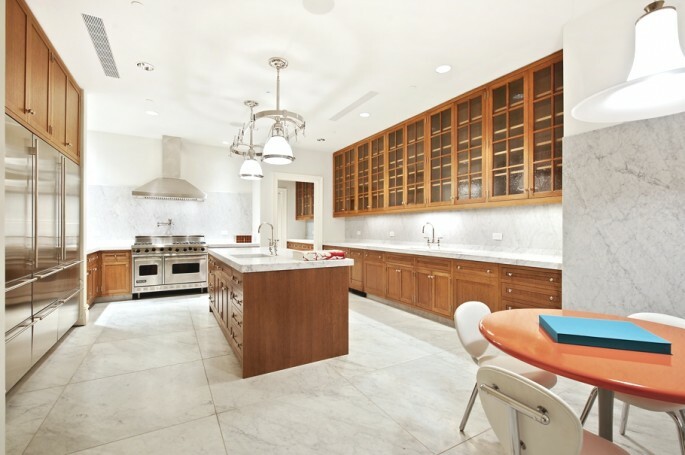 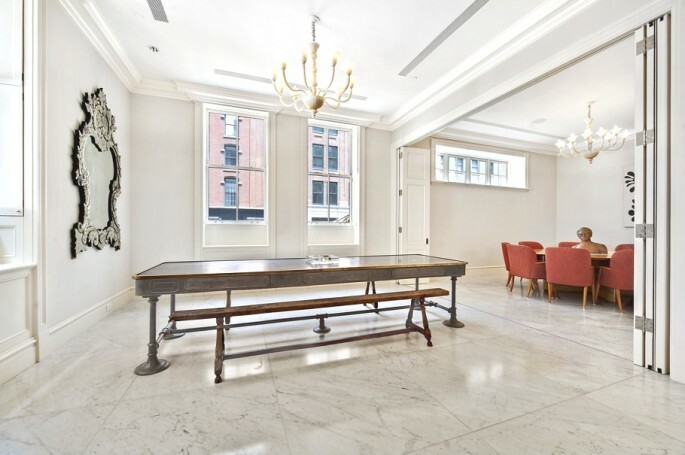 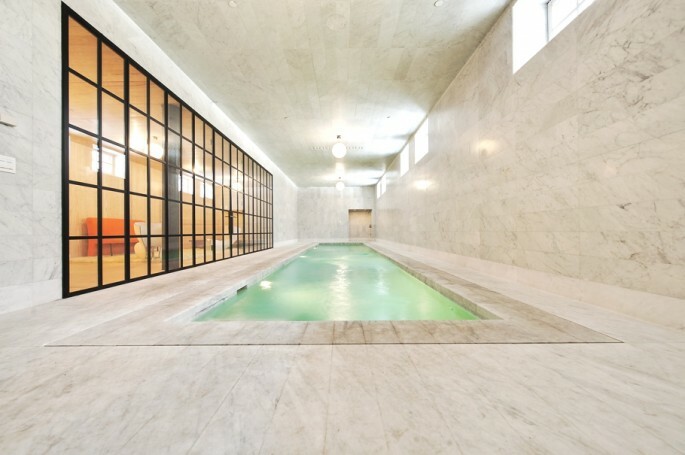 The 9,000 square foot townhouse with a 44-ft lap pool set in a quarried room wrapped entirely in Carrara marble can be found in New York’s Tribeca neighbourhood. 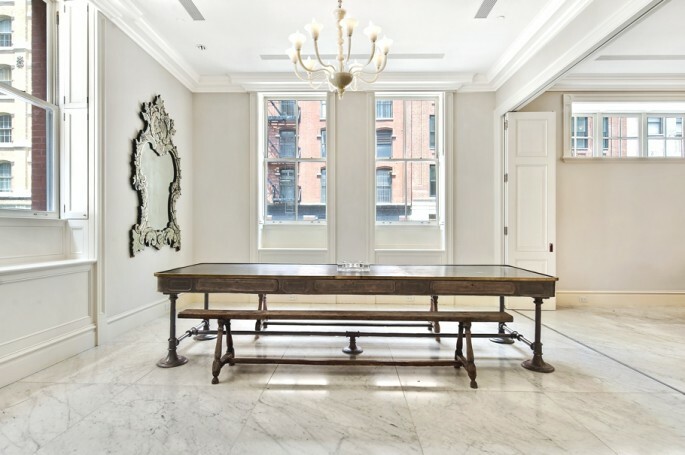 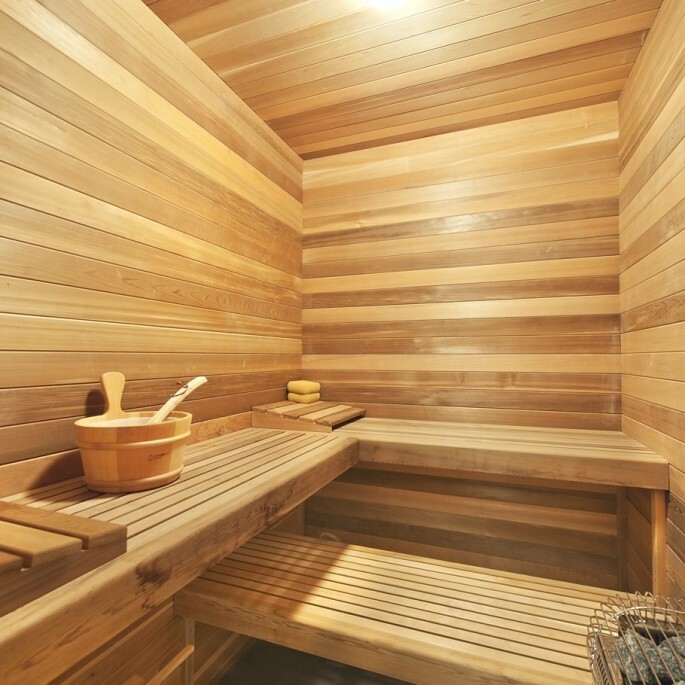 According to Prudential Douglas Elliman Real Estate: “The luxury New York apartment is quite simply the finest residence available in Manhattan. 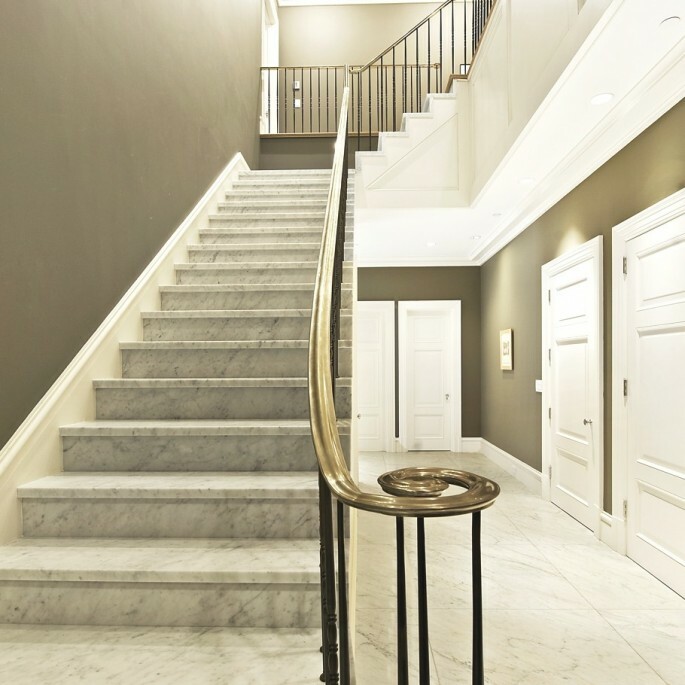 Thoughtfully conceived and precisely executed down to the last painstaking detail by art and design connoisseur Stuart Parr, this 9,000-plus square foot, custom-crafted, bespoke residence offers the privacy and exclusivity of townhouse-style living with the luxury, ease, and convenience of a 24-hour doorman and private self-parking. 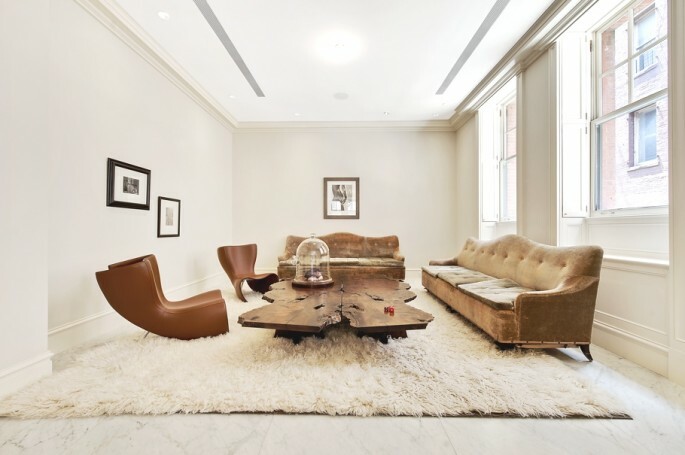 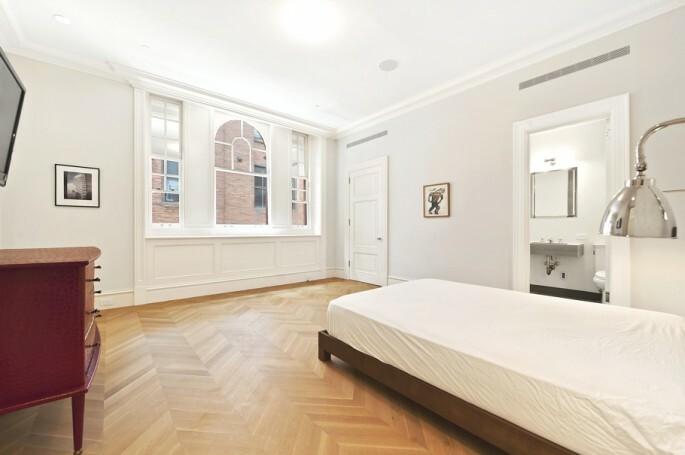 The contemporary New York apartment is on sale for a whopping $17,500,000 through Prudential Douglas Elliman Real Estate. 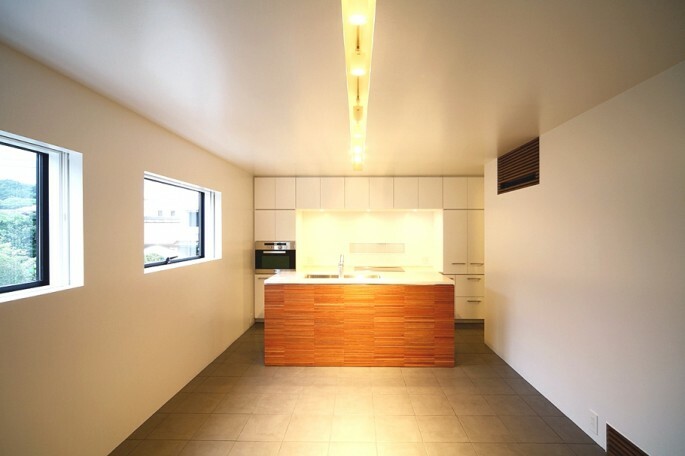 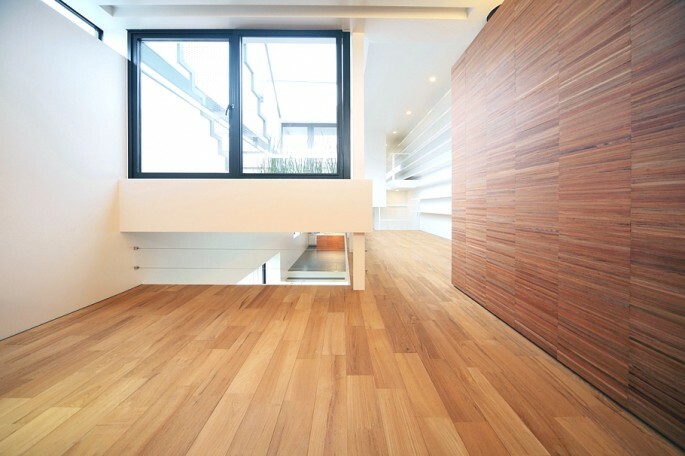 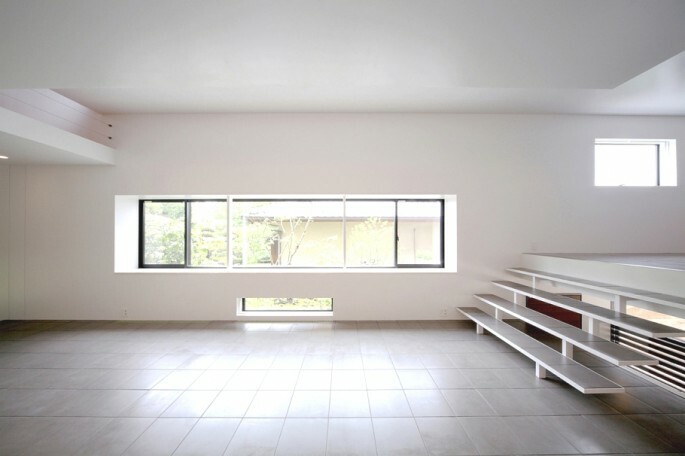 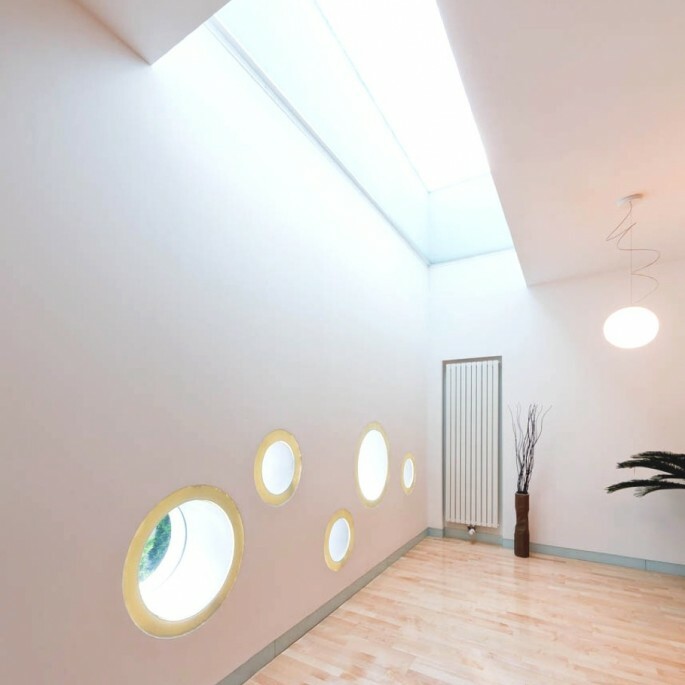 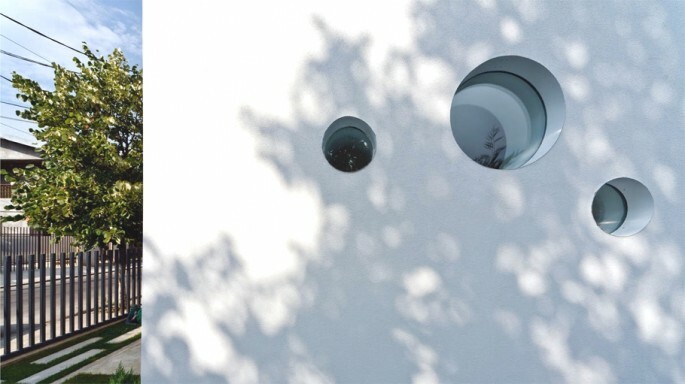 Osaka based design studio Shogo Iwata designed this contemporary property in 2010. 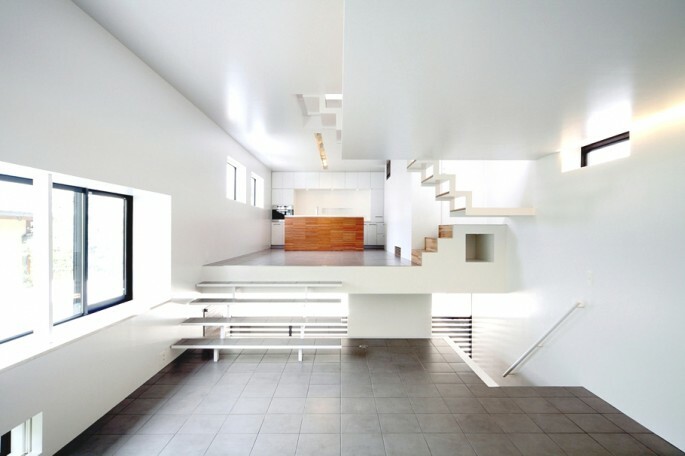 The house is located in Suita, Osaka, Japan. 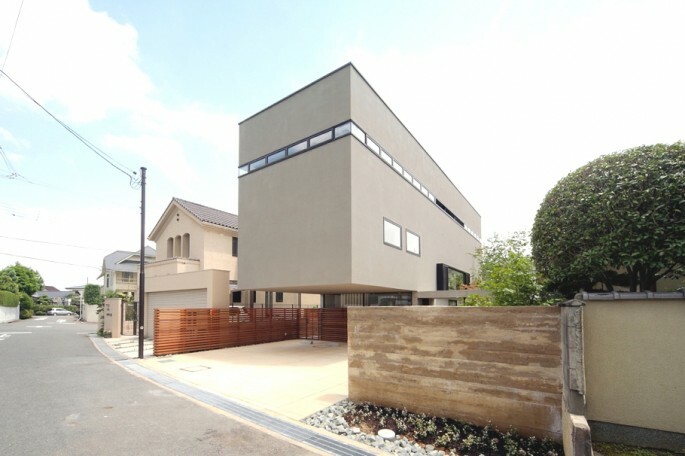 According to the architects: “Divided between eight levels, the house measures 901 square feet. 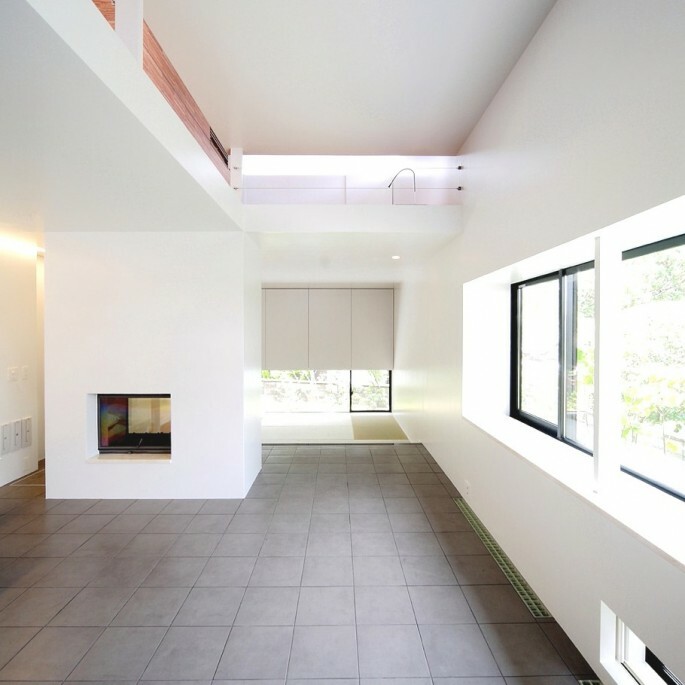 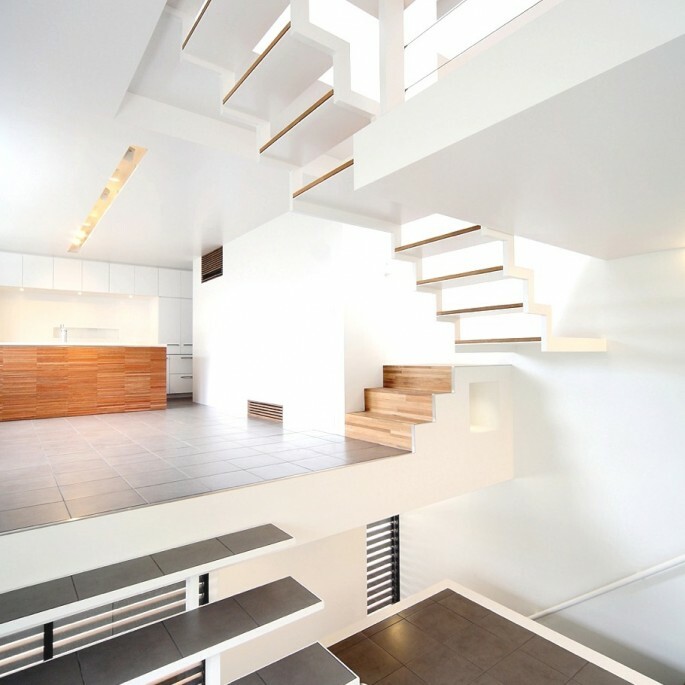 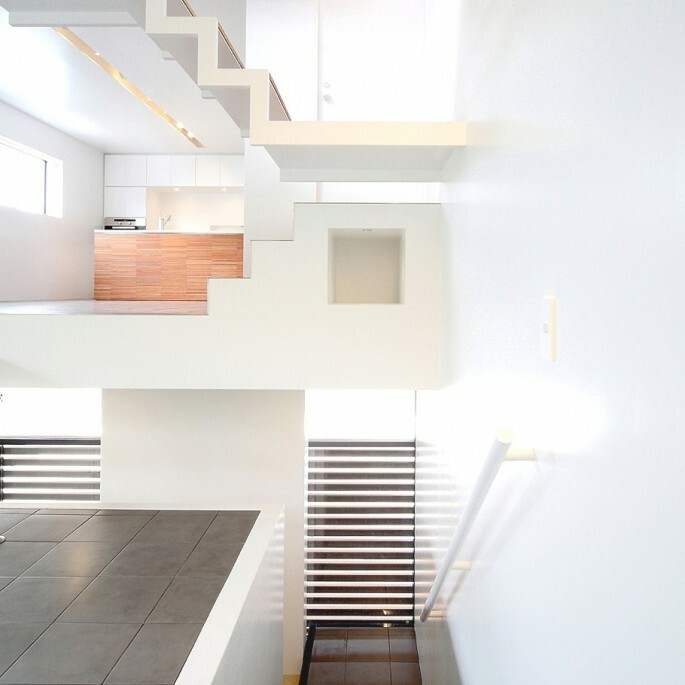 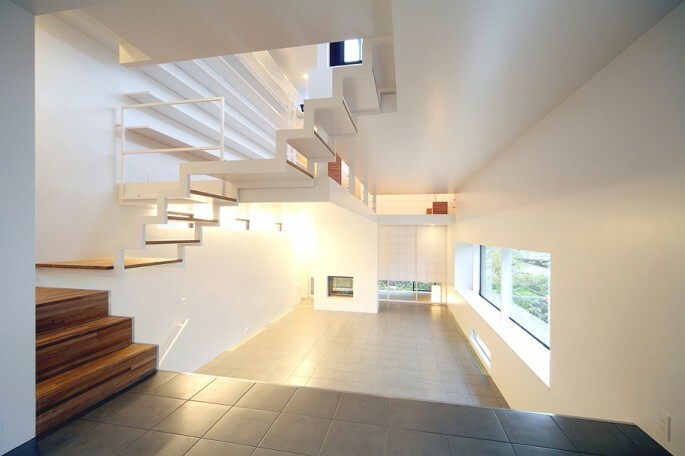 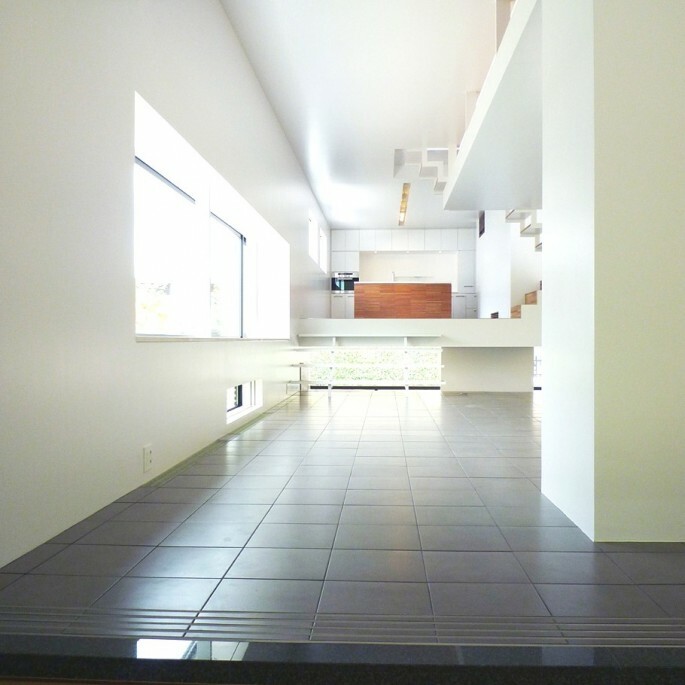 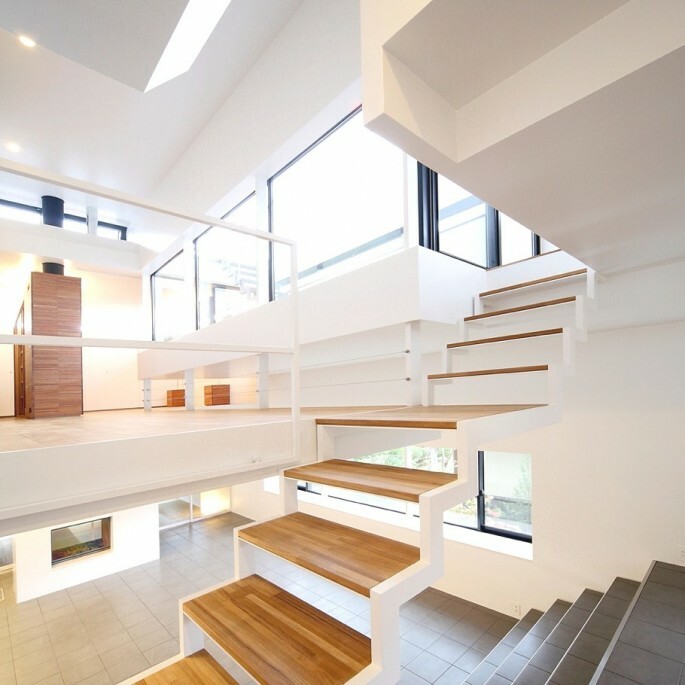 “The contemporary Osaka house was built for a couple with one child. 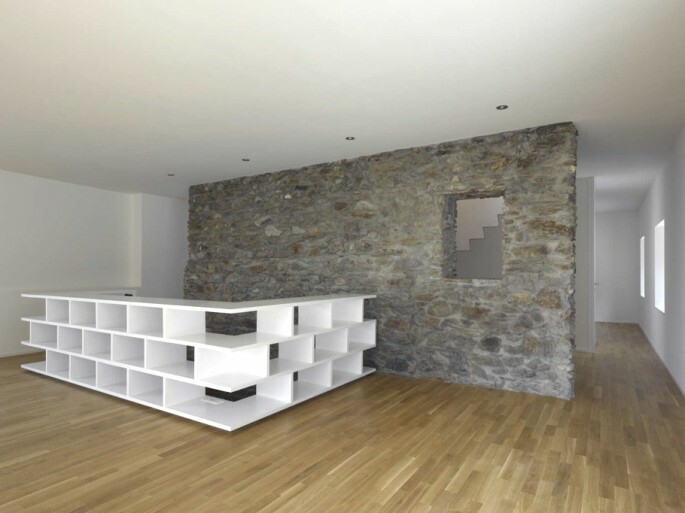 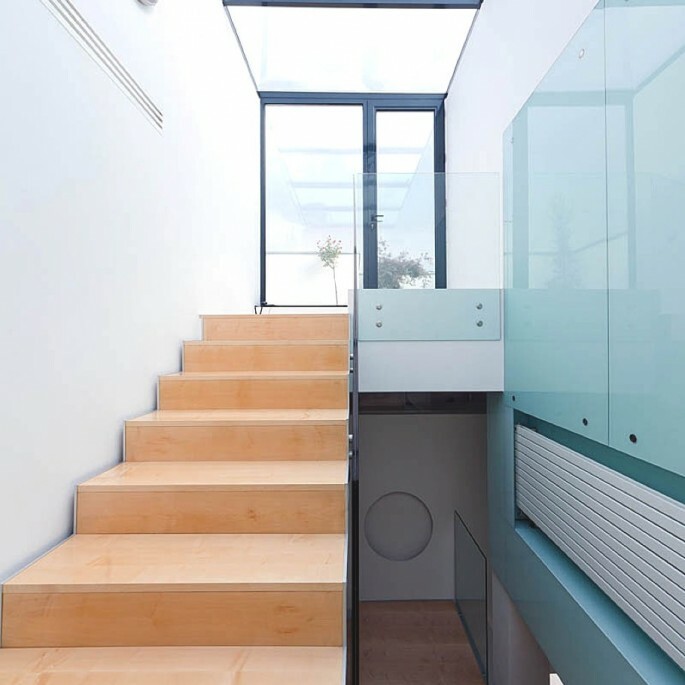 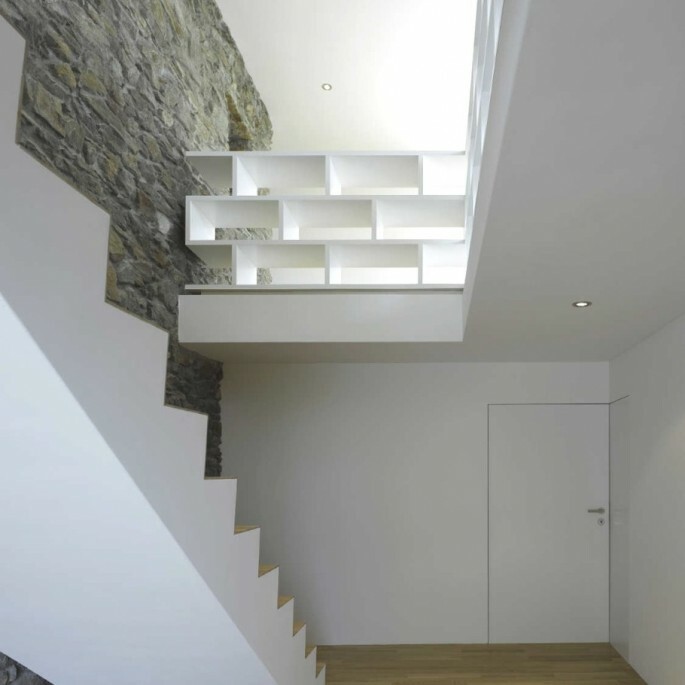 This small house has eight levels between entrance in the basement to the roof terrace in order to constitute every space not in concentrated way by big void but reciprocal relation of each space. 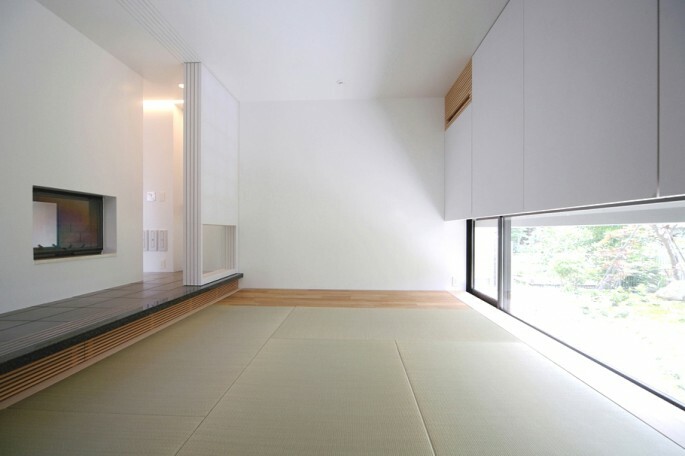 This arrangement makes the notion of the floor ambiguous and the continuity of space compatible with the hierarchy of space.